Contains four fun, classic Lakota stories straight from the Pine Ridge reservation! 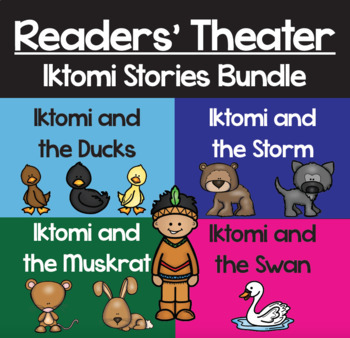 Join the trickster Iktomi and his friends in four readers' theater scripts rich with vibrant characters and engaging language! • Six page script featuring six-seven different characters. • Students will be introduced to Common Core concepts such as theme, both internal and external conflict, character traits, and struggle! • Classic Lakota Story, written and used by Lakota teacher. • Common Core aligned multiple choice assessment. • Differentiated reading levels for each character. Character Education: Daily Writing Exercises for Respect, Honesty, and More!